Sony Computer Entertainment VP Feral Gara thinks the immediate future looks good for the PS3. Back when the PlayStaton 3 first launched it had some strong opponents to contend with. There was, of course, the Xbox 360 and Nintendo's Wii. That said, one of its strongest competitors was arguably the PlayStation 2. 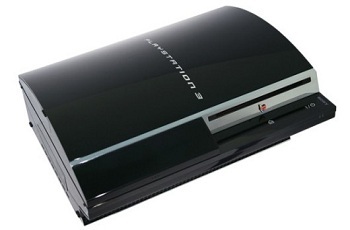 Vastly cheaper and loaded with an already massive library of quality games, the PS2 would continue selling for years following the PS3's release and was still actively in production until 2013. With more than a decade of solid sales it holds the title of the best selling console in history. Now, with the PS4 on the horizon, some may be wondering if we'll see a similarly stretched out life for the PS3. "In terms of the life of the PS3, I think it's there for some time to come," said Feral Gara, VP of Sony Computer Entertainment commenting on the subject. "I think it's got an amazing line-up of games this year which is really healthy." That said, Gara has doubts as to whether the PS3 will be able to maintain the same sort of long life that its predecessor managed. "I would expect it to fade a little more quickly in the UK which is a highly networked country with a huge taste in new tech," said Gara. Gamers can likely expect a similarly speedy replacement of the PS3 in other tech hungry nations. That said, he still believes the PS3 will live on in countries with less connectivity where the console "hasn't even necessarily peaked." Regardless of whether the PS3 remains an industry force for years to come, Gara's picture of the immediate future is a bright one. "We've got big games announced for this year, and you will be hearing from publishers that lots more of their big, big titles are coming to PS3."